Musical Kissing Booth Figurine - 7817 Discounts Apply ! 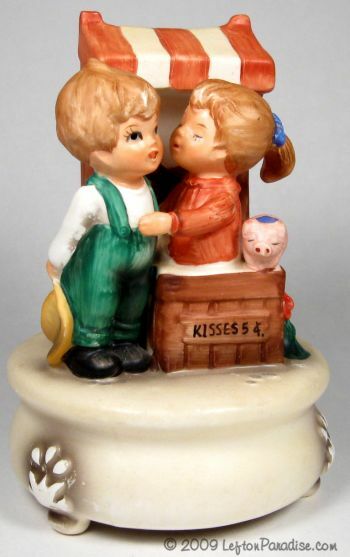 A charming musical figurine depicting a boy and a girl at a kissing booth. The music box plays "Love Is A Many-Splendored Thing", a theme from the 1955 motion picture of the same name. The flawless figure stands 6 inches tall and has a Lefton/Taiwan sticker.